What a fabulous end to another school year! I actively included my kids in preparing classes during Food Allergy Awareness Week 2017 for almost 100 kids, ages 11 to 14. 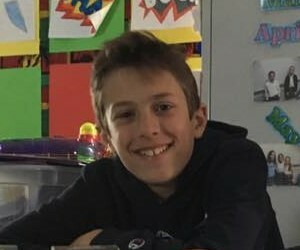 My 11 year old and a friend, both anaphylactic to peanuts, helped present 'how to correctly use auto injectors' to all of their classmates. My 13 year old helped prep questions for a game to wrap our 9 years of food allergy classes with her classmates. Two kids transitioning to very different points in their lives. Half of these kids are moving on to junior high, and the other half are moving on to high school. Yes, as a food allergy mom my main focus is creating a safer world for ALL of our kids with life threatening food allergies. But it’s also about creating a more accepting world for ALL teens living with any life threatening food allergy. These are tough years for many kids and being different isn’t always so easy. No Whey! 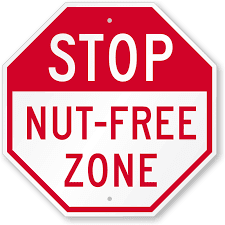 Foods - FREE of the top 8 allergens and ready to make any holiday special!! No Whey! Foods makes having food allergies and celebrating holidays, birthdays and celebrations easy and inclusive! 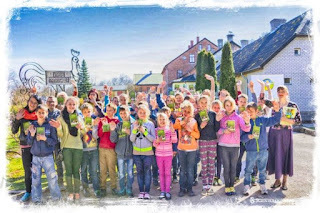 If you were already a fan of this company previously known as Premium Chocolatiers, you are going to LOVE them even more now that they are FREE of the top 8! Meaning 100% milk free, peanut free, tree nut free, gluten free, egg free, soy free, vegan and kosher! Valentines Day, St. Patty's Day, Easter, Passover.. so many holidays are around the corner. 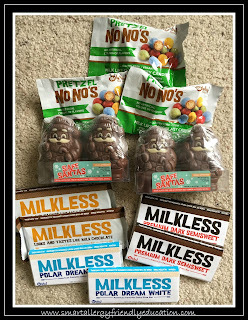 We have been enjoying these products for years and am confident YOUR family will LOVE them too. My son even enjoyed his first batch of FUDGE because of them this past year. Visit their website to see if any of their products are available locally. If not, no worries. Call them directly and place your order today. Happy Holidays from our allergy home to yours! Here it is December 2016 and #foodallergies and #airlines are AGAIN all over the news. 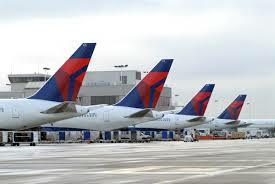 My very simple focus in this blog is to quickly put my favorite airline's policy at your fingertips. At your fingertips! YES, it is this specific. NO, it may NOT be as inclusive as you'd like, but it's a heck of lot better than some. As a flight attendant with Delta Air Lines for 20+ years, and having a son who is allergic to dairy, eggs, kiwi, fish, shellfish and ANA to ALL nuts. No, my son is not airborne allergic to peanuts or tree nuts, but we ALL take traveling with multiple allergens seriously. Don't let allergies such as dairy, soy, peanuts and tree nuts hold you back from enjoying homemade chocolates during ANY holiday season! Making your own couldn't be simpler!! Melt 1 C of chocolate chips with 1 tsp of coconut oil/shortening. Add *oil during melting, if using. Pour into your favorite mold and freeze for 20 to 30 minutes. Fill 1/3 of mold with melted chocolate. Freeze. Add **'peanut butter' alternative. Freeze. Top off mold with melted chocolate. Wrap individually in foil wrappers. Handle as lightly as possible because your hand warmth will begin to melt them. Make Your Holiday Travels Easier With Some Prep! My original article was posted via SunButter some time ago. Now that's it no longer available, I thought it was the perfect time to share again via my personal blog. 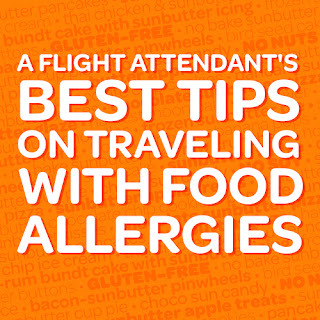 DON'T let traveling over the holidays with food allergies overwhelm you. 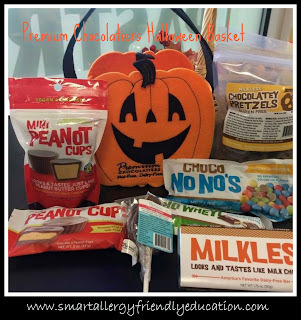 With a little forethought and preparation, those around you will be asking to share YOUR treats. #1 PRIORITY? 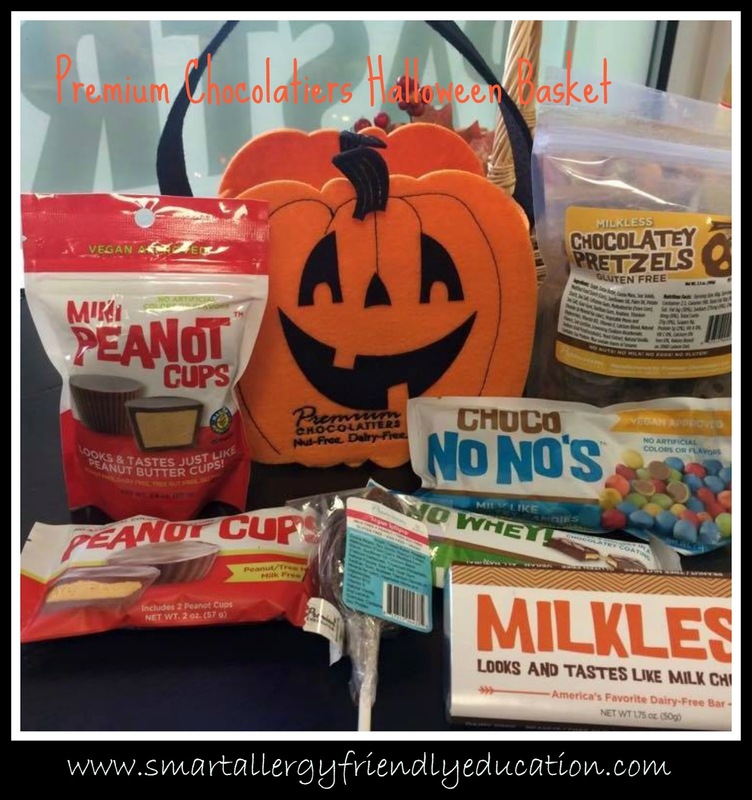 PACK AN AWESOME SNACK BAG! Whether traveling by car, plane or train, DON’T leave home without it. You may look and feel like a pack mule, but you’ll be glad you have your own allergy~friendly snacks right by your side. Our supply generally consists of fruits, veggies, crackers and our favorite egg-free, dairy-free, tree-nut free and peanut-free snacks. 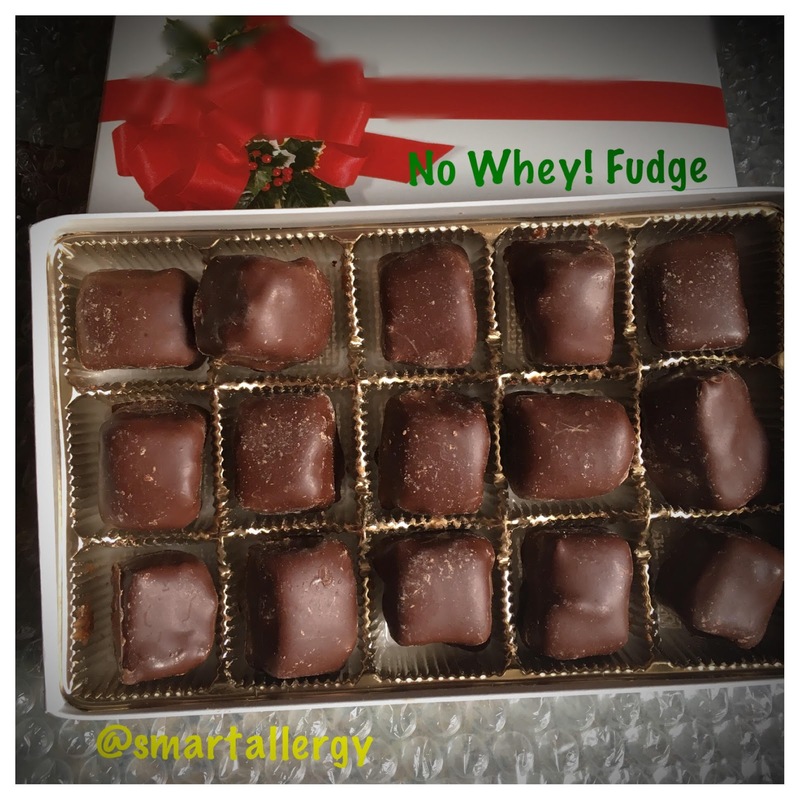 As we head out on a four hour road trip, I have SunButter On-The-Go Single Cups and my own homemade SunButter Protein Bars protein bars in easy reach! Do NOT worry about being an imposition. ONLY YOU, and YOU ALONE are responsible for your safety. Here are a few helpful suggestions. Bring your epinephrine and Benadryl with you. And KEEP IT WITH YOU. It won’t do you any good in the belly of the plane in your checked luggage IF you have a reaction during flight. Research your particular airline’s peanut policy. Make a copy of it and carry it with you. Knowledge is power and sometimes even employees are unaware of their company’s policies. In my 26th year of being a flight attendant, I’m well aware that we are NOT always on the same page. Ask the reservation agents to ADD your peanut allergy to your reservation. Double Check with the gate agents when boarding. Ensure your ‘peanut allergy’ information is in your reservation. If traveling with young kids, ask if it’s possible to board early so you can wipe down your seating area. Wipe down the traytables and armrests. Bring your own blanket to place over the seat, if this makes you feel safer. 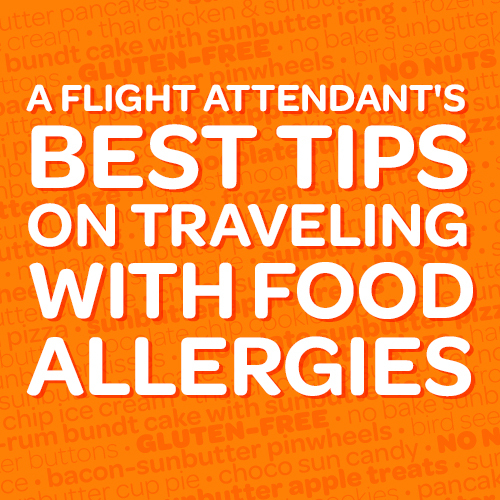 Remind the flight attendants about your peanut allergy when you board. Remember, they have many people to take care of and your particular needs may slip their focus. Most flight attendants are well aware of their policies, and if they’re not, you can share it with them. 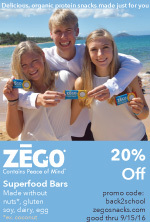 You can now relax and enjoy your holiday travel with a little more calmness and confidence. Happy Holidays and Safe Flying! As a flight attendant who has traveled the world, I have found the people I have met along the way keep me realistic and grounded about how fortunate I am to LIVE in the county I do AND to HAVE the freedoms I have. I hope this story causes more to pause and be thankful this holiday season. As usual, I chose to work in the main cabin on my way home from Europe. I preferred this, as I enjoyed joking and having fun with the crowd in the back. 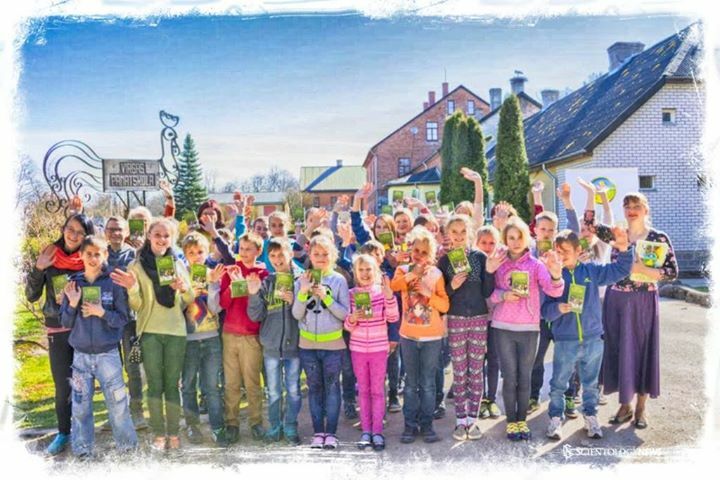 As I entered the gatehouse, I saw a large group of children wearing green shirts, boisterous and running around. ‘Oh geez, ‘ I thought to myself. Maybe I SHOULD have worked in business class today. Looks like a rowdy bunch. Almost 13 years of managing multiple food allergies, including a life threatening one to peanuts and tree nuts. Label reading is second nature. MOST of THE TIME. But even diligent moms screw up sometimes. Like me. In a hurry. Somewhere else to be. 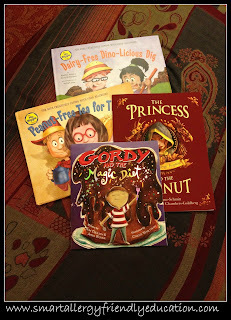 Stopped by the grocery store to pick up a few of OUR allergy-friendly staples. 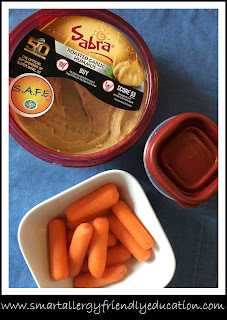 Sabra hummus.. check! Philly Swirl popsicles.. check! AND a 4 pack of our favorite Zen Chocolate SOY pudding. Not another thought. Snack time. They go for what they hadn’t had in a long time.. their FAVORITE pudding. 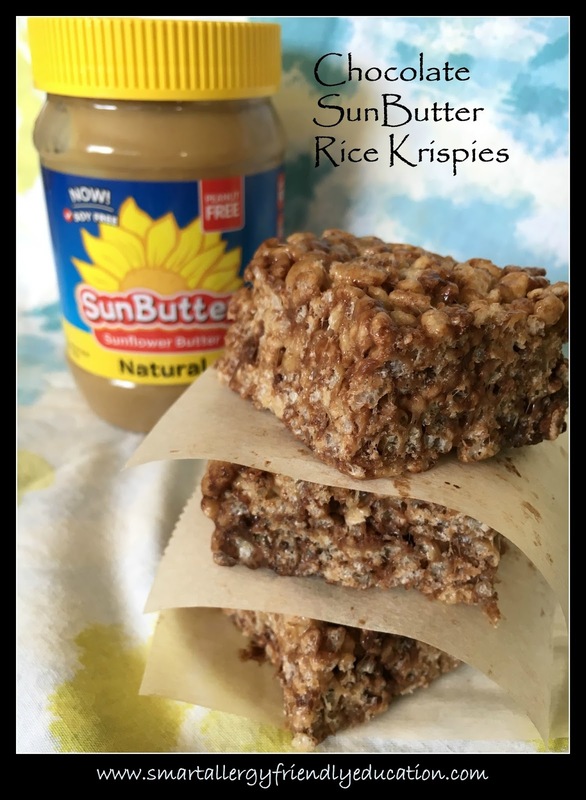 If you are already a fan of SunButter , you may have already seen this recipe as it was posted this past week on August 24, 2016. 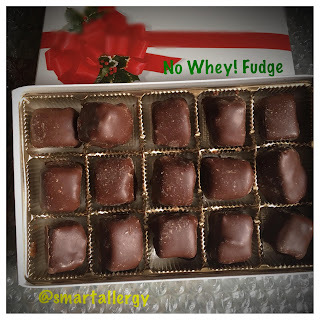 On my personal page here, you will find the specific products I used in making this recipe allergy-friendly for my family's needs. 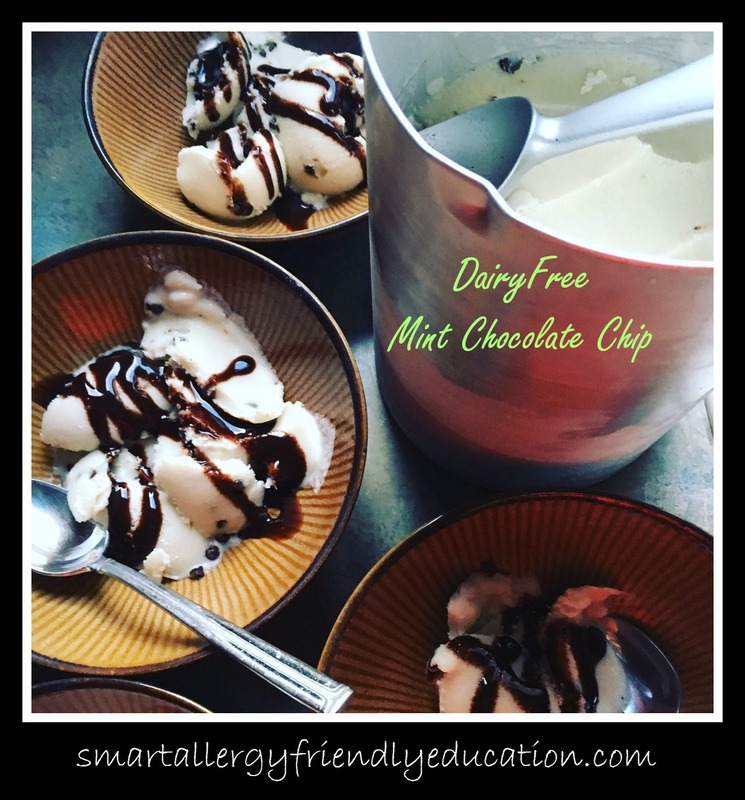 How to Make Dairy-free, Egg-free, Nut-free Mint Chocolate Chip Ice Cream! 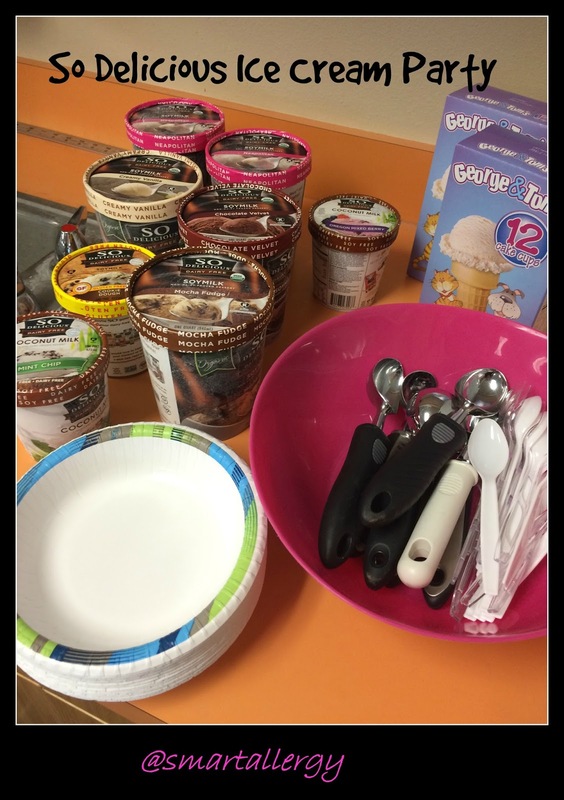 Our July 4th cul-de-sac party arrived and it was time to make another batch of homemade, allergy~friendly ice cream!! This year I decided to make a DOUBLE BATCH of dairy-free, egg-free, nut-free MINT CHOCOLATE CHIP ICE CREAM ! 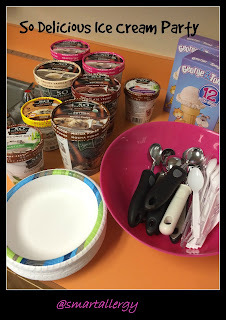 You provide the ice cream maker... I'll provide the recipe! DOUBLE the ingredients below if you also want to double your recipe. What better time to remind everyone that allergy awareness can be fun, educating and entertaining than during Food Allergy Awareness Week 2016! 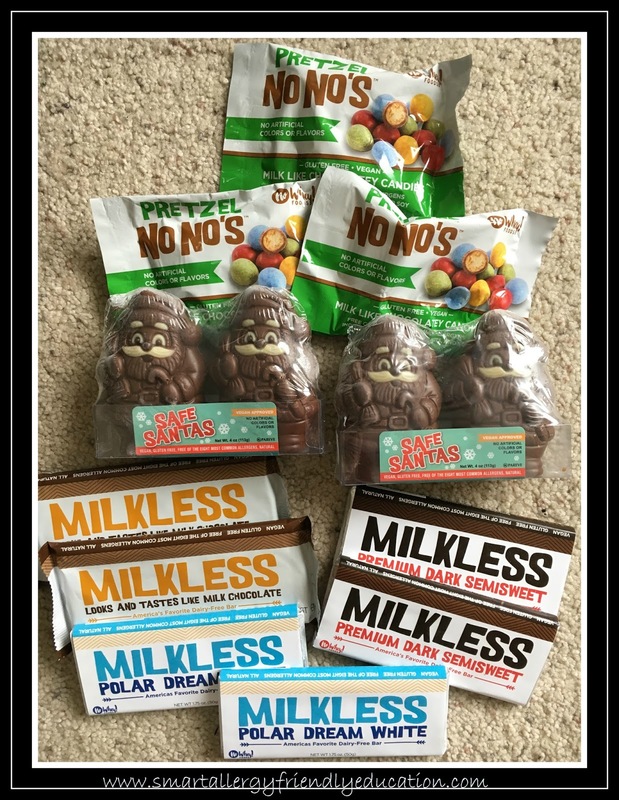 Today I want to give a HUGE shout out to So Delicious Dairy Free and their amazing products which continuously keep my food allergy kids included and smiling. Throw in some of their favorite Kraft Barbeque Sauce, and the kids and their friends have lunch or dinner ready in NO time! As I travel regularly, 'Dad' can always count on there being a bag handy to help making meals easier. 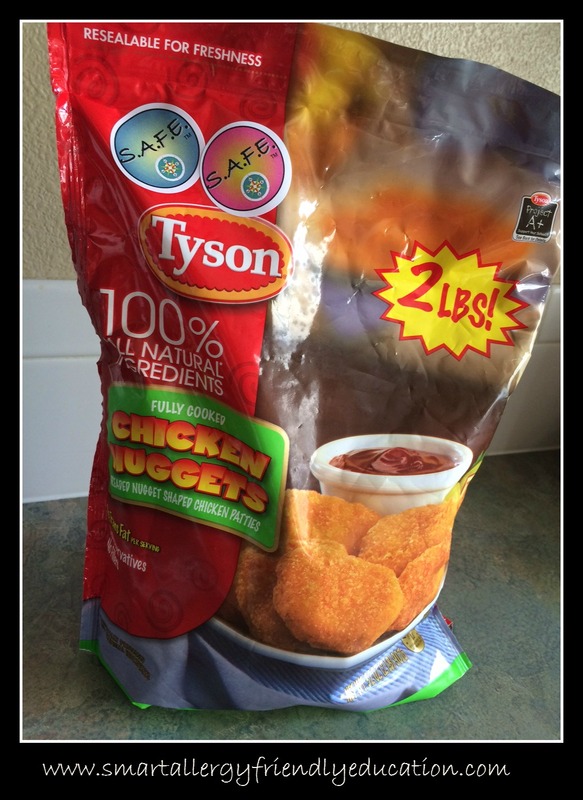 We avoid milk, eggs, all nuts and fish and this product has been a lifesaver on days when I'm gone or don't have time to cook from scratch. 32 oz. 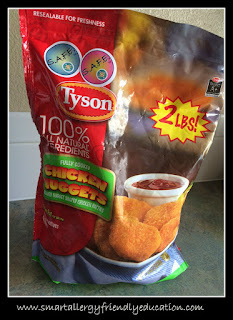 bag of Tyson 100% All Natural Fully Cooked Chicken Nuggets, distributed by Tyson Foods, Inc., P.O. Box 2020, Springdale, AZ. In an attempt to eat healthier at home and on the road, I have found hummus helps increase my vegetable intake tremendously! It is easily spooned into containers for me to pack into lunches or carry on the road while I travel. They are kosher, pareve and glutenfree. You will also see there is no dairy, eggs or nuts in their ingredient list, always a bonus for our needs. Those with a soy allergy may also be able to try this as it contains soybean oil NOT the soy protein itself. Check this out with your doctor. Being a peanut-free and tree nut-free mom, I take great pride in being an official SunButter blogger. 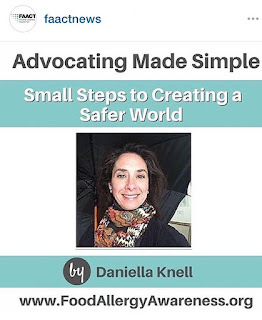 Back in September, I had the opportunity to share with their readers some simple steps for making any kitchen allergy~friendly. And what kitchen wouldn't be complete without your OWN stash of SunButter, and a few of my very own designed and trademarked S.A.F.E. Food Allergy Labels?! Below is the article in it's entirety. For anyone who has followed me over the years, you probably already know I am a HUGE fan of the company, Premium Chocolatiers. Whether it be Chocolate Truffles for Christmas or Bunnies and Eggs for Easter, this company offers many options for families managing a variety of dietary restrictions. Dairy-free, egg-free, tree-nut free, peanut-free OR gluten-free? They have you covered. 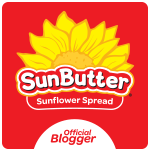 As an Ambassador for SunButter, I have the privilege of being a featured blogger for them throughout the year. 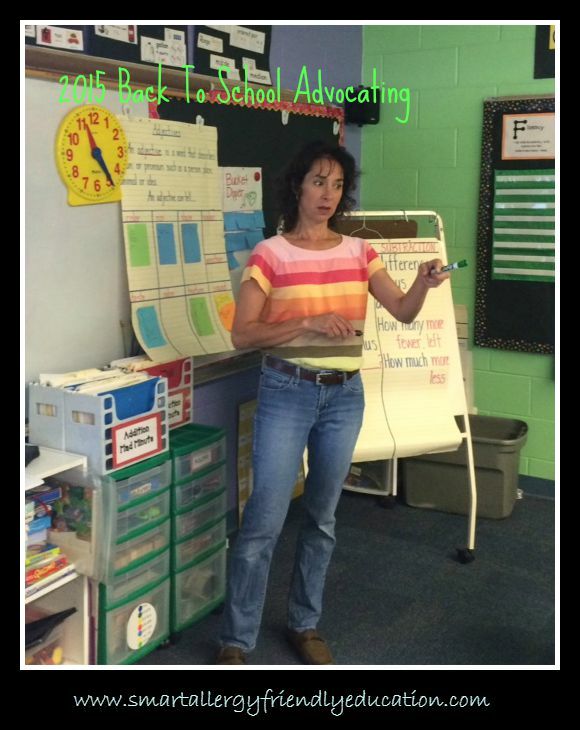 As 'Back to School' preparations are in full swing, I thought this is the perfect time to share 10 tips I personally follow with our family's 'Back to School Prep'.